Herbal Essences®, a beauty brand popular with adult females, was looking for a simple incentive to help introduce a younger demographic to their hair care products. The company chose to partner with MTV because of their well-established relationship with the younger generation. They executed an on-pack promotion that gave recipients instant-access to a fun and valuable reward. With the purchase of a product, customers were rewarded with a free download of any ringtone of their choice, a gift very popular among technology-driven teens. By utilizing an on-pack promotion, Herbal Essence was able to reduce distribution logistics among retailers while driving sales of the hair care products. 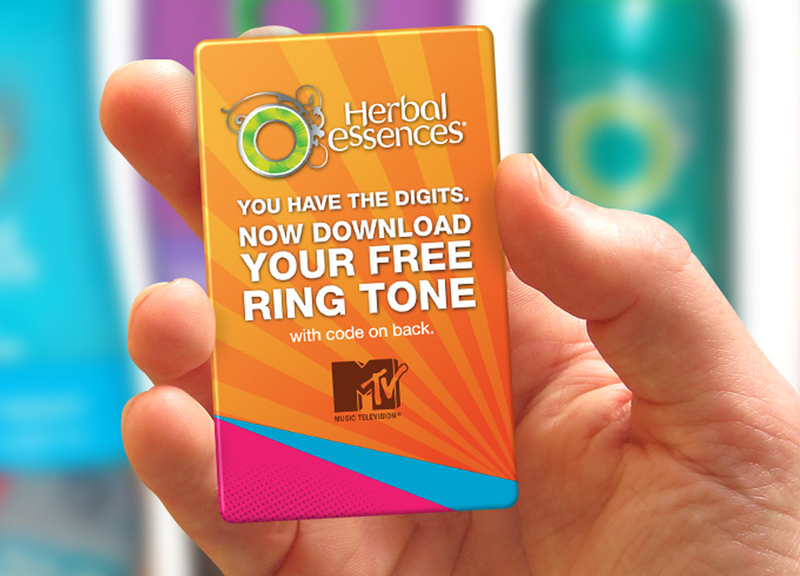 It was one of the easiest ways to run a cross-market promotion with MTV as this promotion was easily offered across all products in their hair care line. 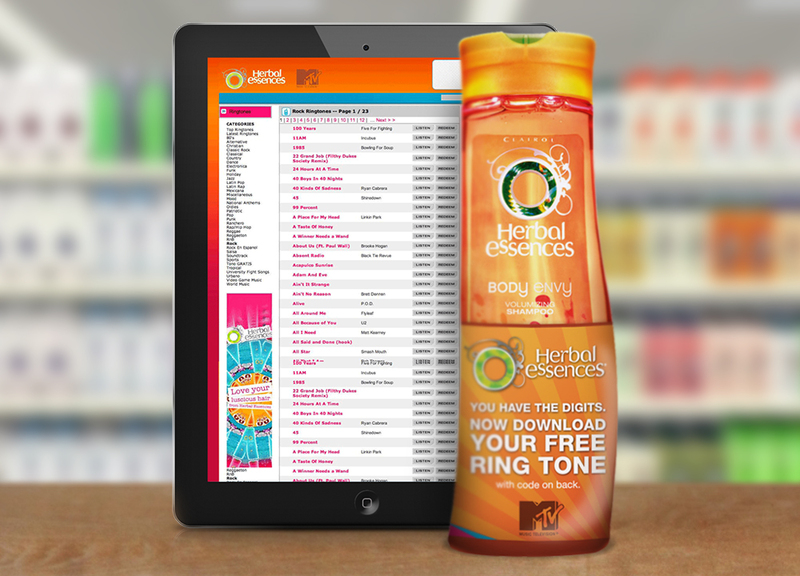 Herbal Essences was able to pair their product line with the status of MTV to allow young consumers to be rewarded with a popular gift, adding additional value to their product line.